Dr. Burridge specializes in robust, complex control of robotic systems. 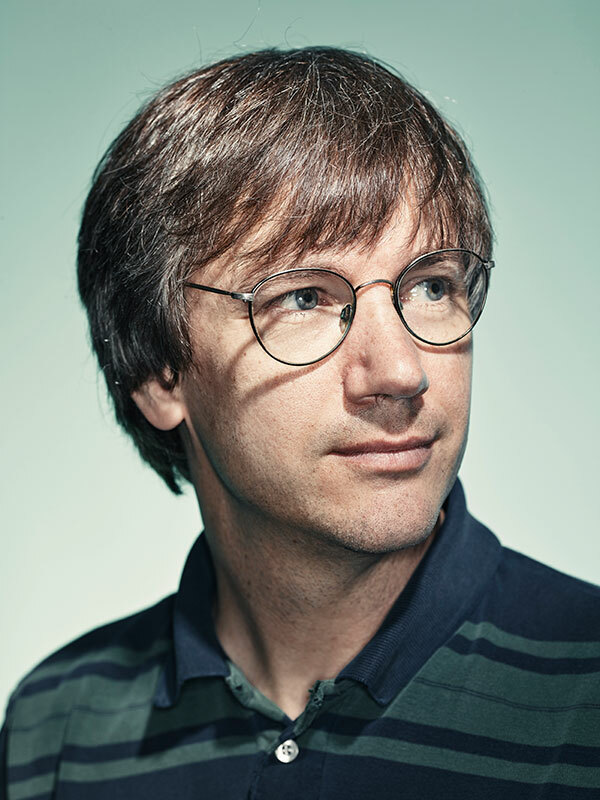 His doctoral thesis, chaired by Professor Daniel Koditschek, described a formal method for generating stable mode-switching robot control laws using the concept of “funneling” controllers. From 2000 to 2002, he was project lead for NASA-JSC’s EVA Robotic Assistant (ERA), where he was responsible for management, budget, technical direction, collaborations, and field-testing. In 2005, he was Robonaut’s lead for the Peer-to-Peer project, which sought to improve human-robot teamwork. In 2007, he was the JSC lead for an inter-center project investigating remote command and control of several different robots across time delay. This team developed the Predictive Interactive Graphical Interface (PIGI), with Dr. Burridge producing several of its key software components. PIGI has been used for remote operation of seven different NASA robots in multiple NASA field tests. He was one of the founding architects of the award-winning RAPID robot communication protocol, also used in NASA field tests. Since 2006, he has won seven government Phase I small business grants (SBIR/STTR) with the Army, DARPA, and NASA, three of which were continued to Phase II. These grants ranged in topic from development of a modular manipulator arm (which resulted in a patent), to robotic strategies for retrieving wounded soldiers from the battlefield, to creating a software suite for dual-armed robots to an expert system to assist soldiers in designing and assembling robots in the field. From 2012 to 2015, he was the PI for “Team TRACLabs”, a DoD-funded team competing in the DARPA Robotics Challenge (DRC). The DRC sought to develop humanoid robotic technologies for assistance in disaster sites. Our team placed 4th out of 22 teams in the DARPA Virtual Robotics Challenge in June 2013, and 6th out of 16 teams in the DARPA Robotics Challenge Trials in December 2013. In both cases, the team placed highly enough to receive an Atlas robot and continued DARPA funding. The project concluded with a 9th-place finish among the 23 teams at the DRC Finals in June, 2015. Team TRACLabs was the only team in the DRC Finals led by a small business. Since the DRC, Dr. Burridge has won two more SBIRs with NASA’s Johnson Space Center to continue developing advanced software for interacting with and controlling robots. Joshua James, Yifan Weng, Stephen Hart, Patrick Beeson, and Robert Burridge, “Prophetic Goal-Space Planning for Human-in-the-Loop Mobile Manipulation.” In Proceedings, IEEE RAS Humanoids Conference, November 2015. Robert R. Burridge and Kimberly A. Hambuchen, “Using Prediction to Enhance Remote Robot Supervision across Time Delay.” In Proceedings, IEEE/RSJ Conference on Intelligent Robots and Systems (IROS), 2009. T.W. Fong, J. Sholtz, J. Shah, L. Flueckiger, C. Kunz, D. Lees, J. Schreiner, M. Siegel, L. Hiatt, I. Nourbakhsh, R. Simmons, R. Ambrose, R. Burridge, B. Antonishek, M. Bugajska, A. Shultz, and J.G. Trafton, “A Preliminary Study of Peer-to-Peer Human-Robot Interaction.” In Proceedings, IEEE International Conference on Systems, Man, and Cybernetics, October 2006. R. R. Burridge. Software Architectures for Robots Capable of Intelligent Autonomy: a Survey of the State of the Art. American Helicopter Society Forum, 2003. Behaviors. International Journal of Robotics Research, 18(6):534–555, 1999.